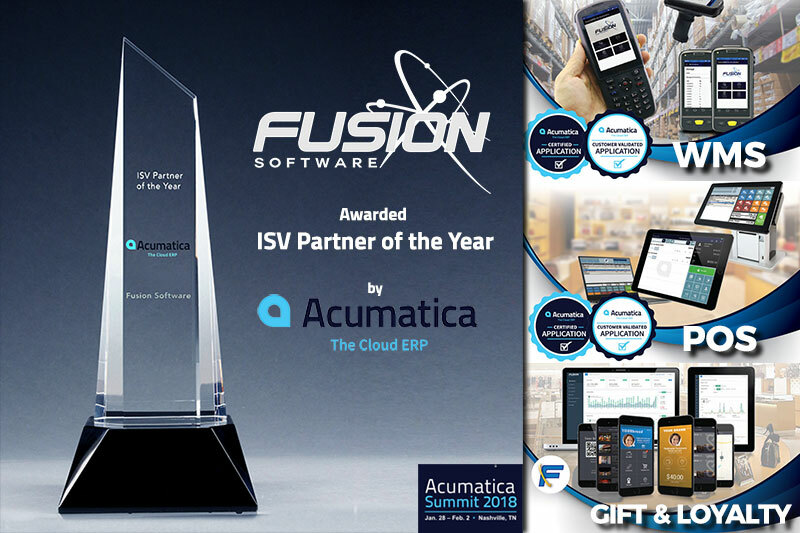 Fusion Software is a leading developer and provider of flexible, highly scalable and powerful retail management software solutions used by thousands of companies worldwide. 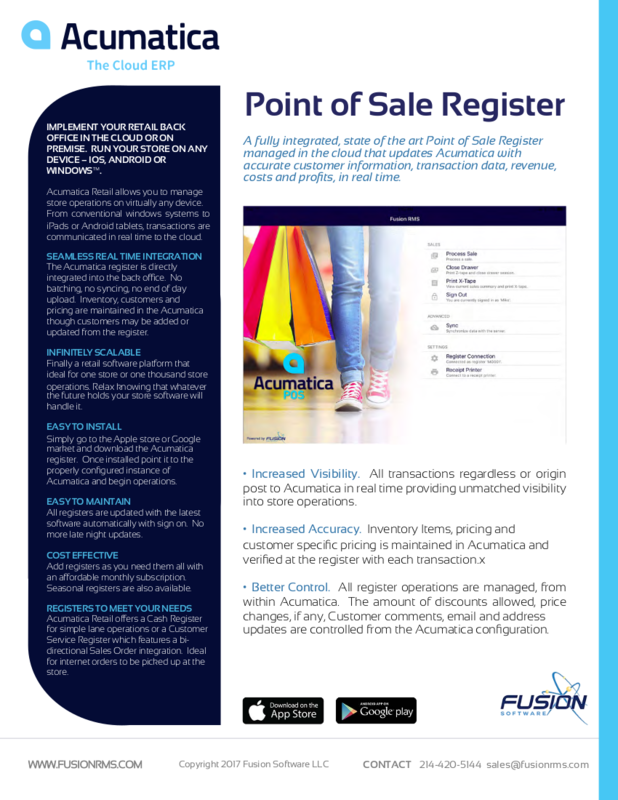 Through its suite of applications, Fusion extends the reach of your ERP to the small-to-medium retail and wholesale distribution markets, helping retailers and organizations optimize their business, increase profits, and acquire new customers while improving retention. From Point of Sale (POS), Warehouse Management (WMS), and eCommerce; to Digital Marketing and Accounting solutions, Fusion gives you the flexibility to leverage these based on the model that best suits your business needs and budget. A Point of Sale…and Services. 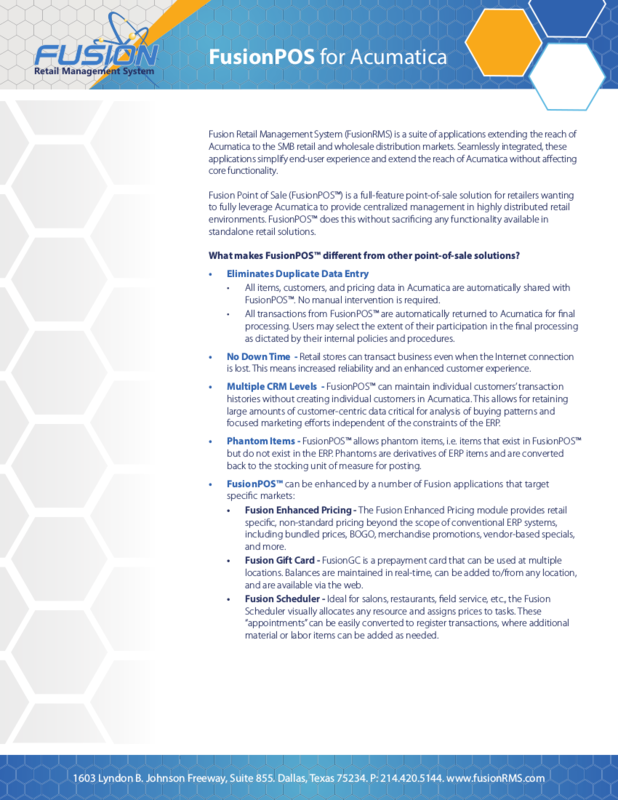 FusionPOS is a full feature solution for those wanting centralized management in any retail environment, from simple one stores to highly distributed operations. 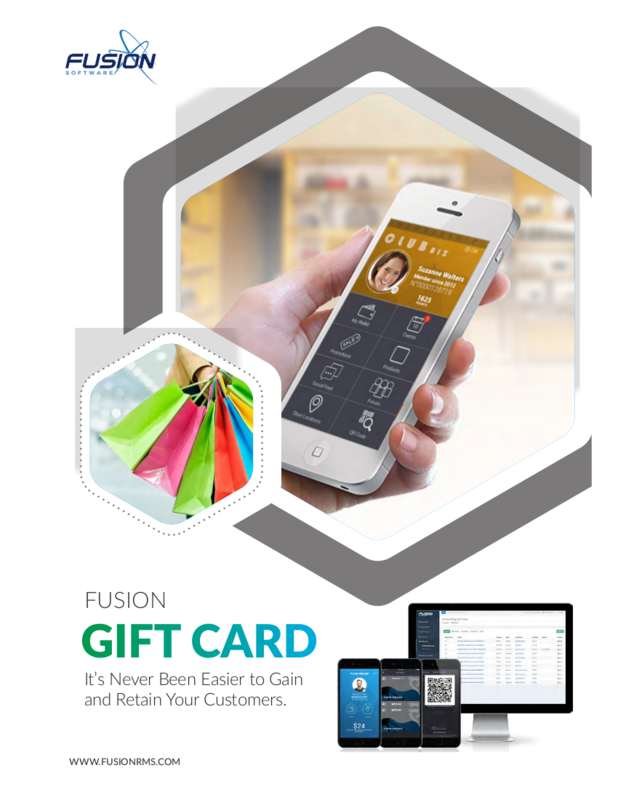 FusionPOS is available for Windows, iOS and Android. With Fusion’s mobile POS you can take your business where you want to, improve your workflow and provide outstanding customer service. No more obligatory queuing at the register, your staff will be able to serve customers from beginning to end anywhere in the shop. 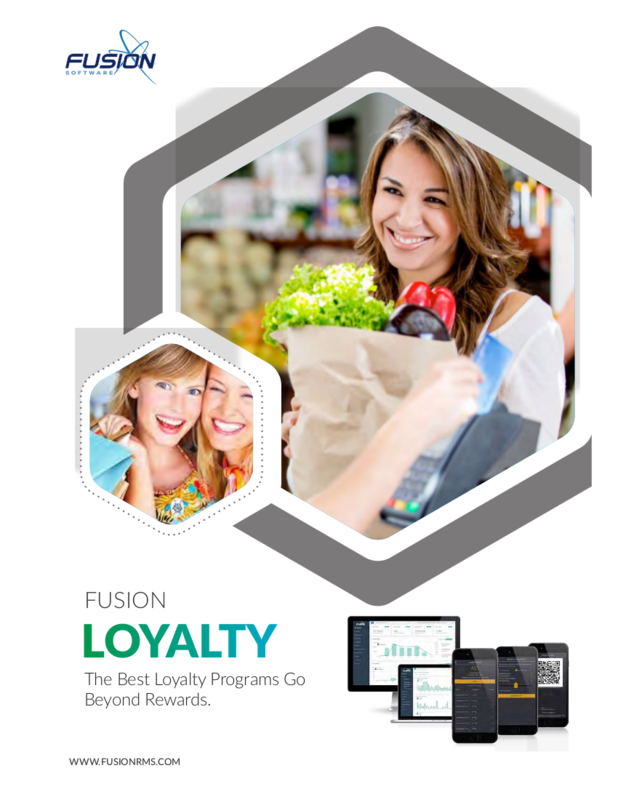 More than just digital marketing, the FusionOnLoyalty platform is a unique suite of promotion, brand management and customer retention solutions that allow you to manage every stage of the customer journey: from acquiring new customers to tracking of shopping habits; from marketing campaigns to loyalty reward across the channels. Centrally managed from your own cloud-based dashboard, FusionOnLoyalty includes custom-branded mobile applications (iOS and Android) for your customers to have access to direct notifications, promotions, gift cards, loyalty points, electronic wallet and more.